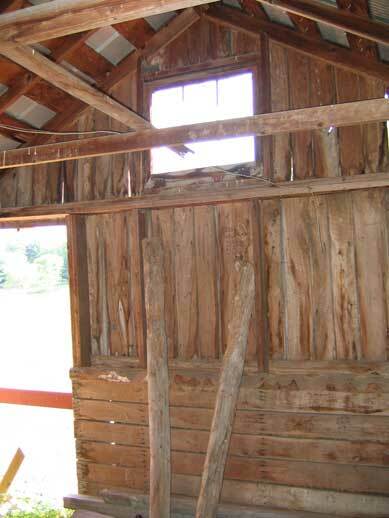 The haybarn is not visited by many campers. 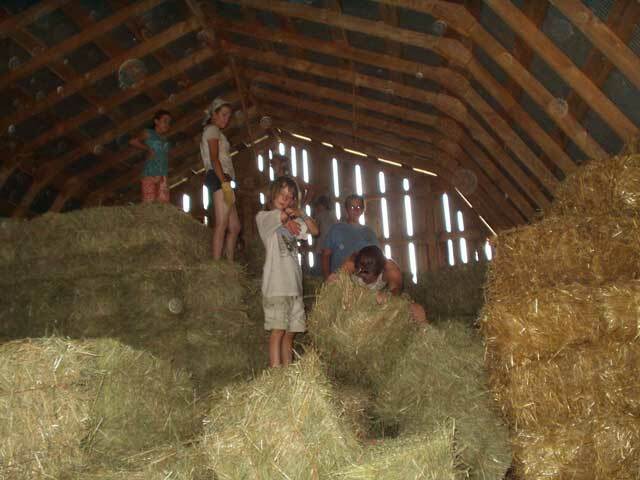 The large barn is full of hay that the horses eat during the summer. Each day, the riding girls get hay out of there and put it out in the pasture. 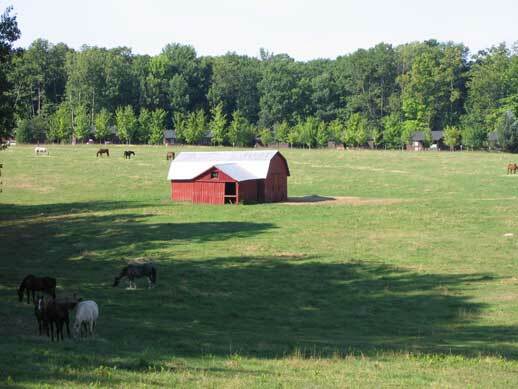 Horses often hang out by the barn, thinking that they might be able to get in. The small building next to the hay barn used to be the riding tack room when the riding barn was actualy the maintenance barn when camp was Camp Sherwood.